Heat oven to 400°F. Spray or grease 15x10-inch or larger dark or nonstick cookie sheet. 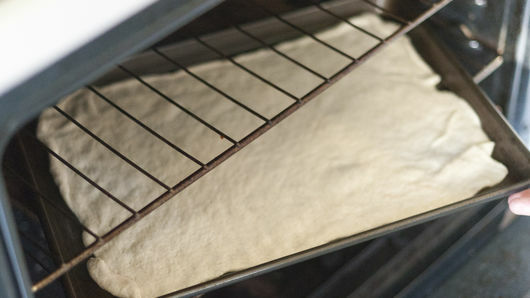 Unroll dough onto cookie sheet. Starting at center, press dough into 15x10-inch rectangle. Bake 5 minutes. Meanwhile, in 10-inch skillet, heat oil over medium heat. Add garlic and oregano; cook 30 seconds. Stir in black beans and pepper sauce. Add water; cook until reduced by half. Using potato masher or fork, mash beans into a paste. Taste for seasoning; add salt or additional pepper sauce to taste. 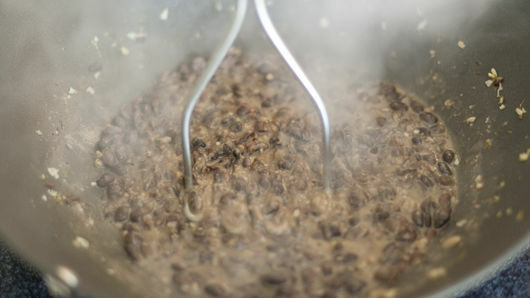 Spread bean mixture evenly over partially baked crust. Top evenly with cheese. 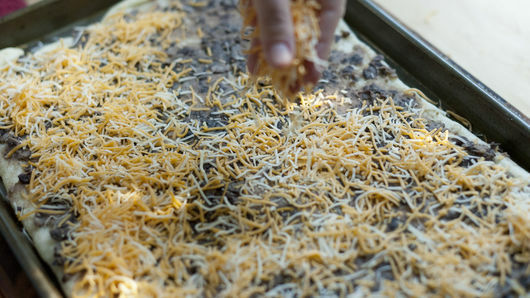 Bake 8 to 10 minutes longer or until crust is golden brown and cheese has melted. Cut pizza into 4 rows by 3 rows to make 12 squares. 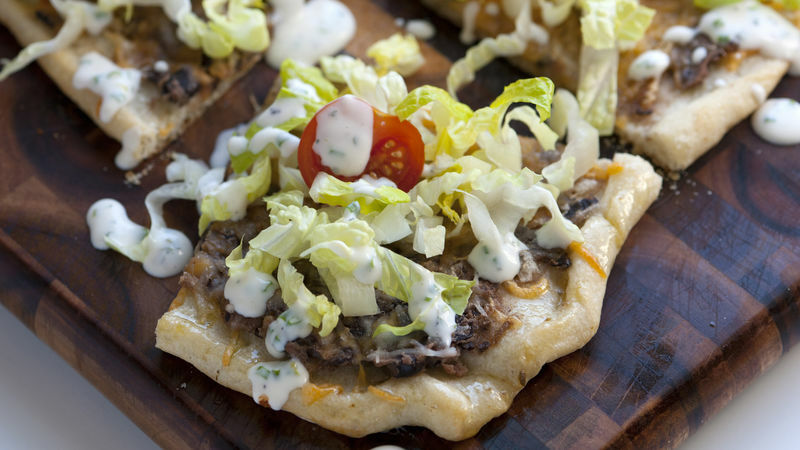 Top each with lettuce, tomatoes and a drizzle of ranch dressing. Replace the black beans with red kidney or pinto beans. Add shredded or diced cooked chicken to the pizza after adding the cheese. Bake.